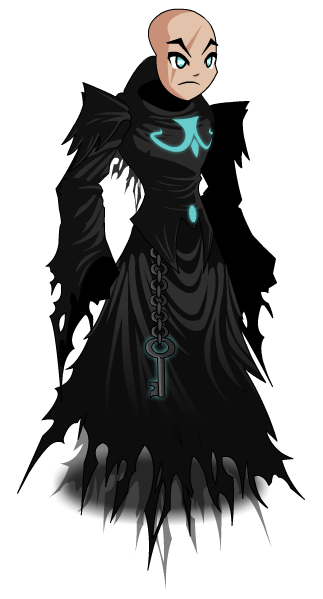 Description: No one knows what gate this fiendish wraith is guarding… but no one has been brave enough to ever find out. The runes are color custom to match your devious soul. Inspired by your fellow player, Ganloth Revontheus! Chest and Key glows are Color Custom to Accessory Color. Also see Amaranth Gate Keeper. Thanks to AJ_1, Impractical and Weena.